*Are you struggling to get things done at home? 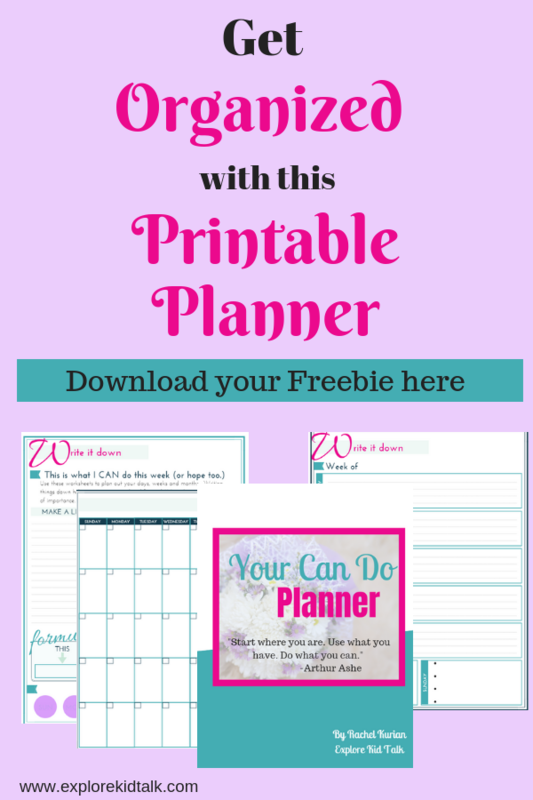 *Don’t know how to plan your days/weeks to be the most productive. 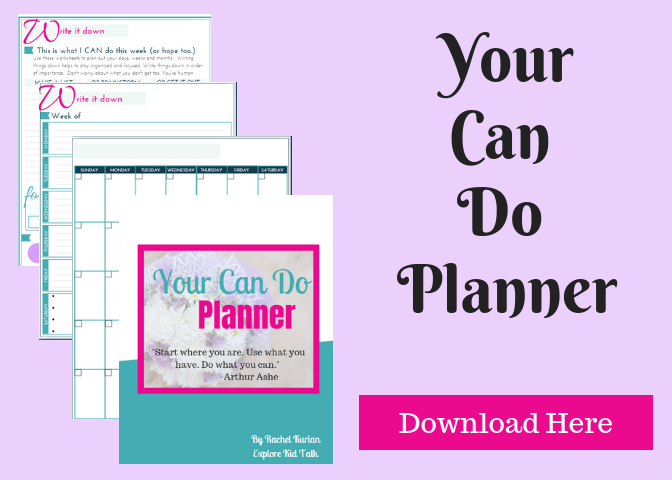 Here you can get a Free Printable Planner to help you stay focused. *Hang this list on the fridge to keep you motivated. Plan out your days, weeks, and months with these colorful pages. Yes! I want this planner! *Get focused and stay organized. *When you write down your goals you are more likely to achieve them. I'm thrilled to have you with us! You will now receive weekly emails from Explore Kid Talk. Be on the lookout for the confirmation email and welcome emails. 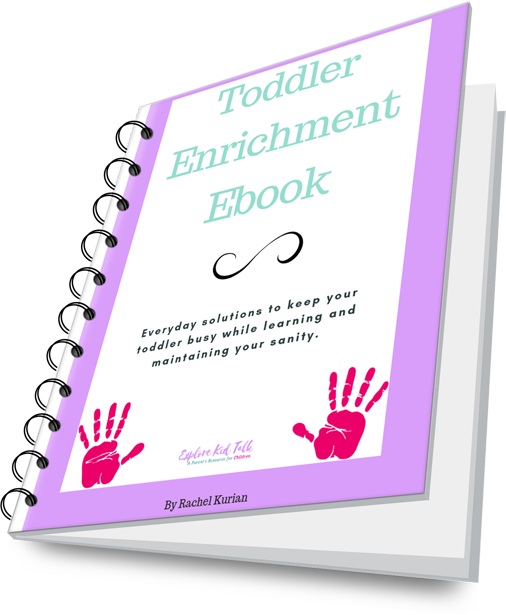 In the meantime, I know you will love the Toddler Enrichment Ebook. Written by a Special Education Teacher who specializes with Toddlers and a mother of 2. This toddler ebook will help make your days less stressful with a schedule, stages of development and activities to fill your days. Everyday solutions to keep your toddler busy while learning and maintaining your sanity. Are you struggling to find activities for your toddler? Do you ever wonder how to keep your toddler busy and happy at the same time? Does your toddler run circles around the house? Are you looking for ways to help develop their motor skills? Are you looking for activities that center around enrichment? Do you need activities to do at home without spending money? Imagine if you had all that in one place. This toddler ebook will help make your days less stressful with a schedule, stages of development and activities to fill your days. Everyday solutions to keep your toddler busy while learning and maintaining your sanity. *This is a digital product that will be sent to you as a PDF. This book is awesome! I received an advance copy, and I’m happy to share my thoughts with you. The ‘milestones’ (communication, coordination, etc) are explained better than I’ve seen before, with the emphasis on the time RANGE, not specific ages. With more balanced expectations from this book, I feel more prepared for little boy 2 as we are nearly at the toddler stage than I did with my first. The strategies for everything from play, to consequences to meals and bedtime, covered, I see more clearly what mistakes I can correct ahead of time and where I did well last time! There are lots of helpful tips and ideas for Toddler Enrichment, including recipes, activity lists for when you just can’t think, and printables. I love the suggestion to either replace bath toys every few months or hot glue the opening so that you don’t have a breeding ground for mold and bacteria! Rachel does a great job of explaining without talking down to you, and is very encouraging. I highly recommend this book to moms, and even grandparents would benefit from the reminders in here. Not saying they don’t remember the toddler days, but refresher courses are helpful for anything you used to do daily but haven’t in a long time.